Need help with drug or alcohol addiction? Get in touch with us now. Our page on Facebook to connect with the recovery community and help others looking for treatment. Follow us on Twitter for all the latest on recovery from drug and alcohol addiction. Our Linkedin network is a great place to meet the best professionals in the addiction recovery industry. On our Google+ page, we share the latest news and trends in addiction recovery. 1.4 You must be at least  years of age to use our website; and by using our website or agreeing to these terms and conditions, you warrant and represent to us that you are at least  years of age. 4.3 You may only use our website for your own personal purposes and you must not use our website for any other purposes. 6.1 To be eligible for an individual account on our website under this Section 6, you must be at least 18 years of age and resident in the United States of America. 6.4 You must not use any other person’s account to access the website. 7.1 If you register for an account with our website, we will provide you with a user ID and password. 8.2 You may cancel your account on our website at any time. 9.2 You grant to us a worldwide, irrevocable, non-exclusive, royalty-free licence to use, reproduce, store, adapt, publish, translate and distribute your content in any existing or future media / reproduce, store and publish your content on and in relation to this website and any successor website / reproduce, store and, with your specific consent, publish your content on and in relation to this website. 14.2 The revised terms and conditions shall apply to the use of our website from the date of publication of the revised terms and conditions on the website, and you hereby waive any right you may otherwise have to be notified of, or to consent to, revisions of these terms and conditions. / We will give you written notice of any revision of these terms and conditions, and the revised terms and conditions will apply to the use of our website from the date that we give you such notice; if you do not agree to the revised terms and conditions, you must stop using our website. 17.1 These terms and conditions are for our benefit and your benefit, and these terms and conditions are not intended to benefit or be enforceable by any third party. 17.2 The exercise of the parties’ rights under these terms and conditions is not subject to the consent of any third party. 18.1 Subject to Section 12.1, these terms and conditions, together with [our privacy and cookies policy], shall constitute the entire agreement between you and us in relation to your use of our website and shall supersede all previous agreements between you and us in relation to your use of our website. 19.1 These terms and conditions shall be governed by and construed in accordance with the laws of the State of California. 19.2 Any disputes relating to these terms and conditions shall be subject to binding arbitration as designated by Starting Point, LLC. 20.1 This website is owned and operated by Starting Point, LLC. 20.2 Our principal place of business is at 41743 Enterprise Circle North, Suite 204, Temecula, CA 92590. 20.3 You can contact us by writing to the business address given above, by using our website contact form, by email to info@startingpointrecovery.com or by telephone on (888) 446-9821. Don't wait. Call (888) 446-9821 now for the help you deserve. Starting Point, LLC is owned by Inland Detox and is not a provider of care. Clients are referred exclusively to Inland Detox. The content on this website is for educational and informational purposes only.  Starting Point, LLC is owned by Inland Detox and is not a provider of care. The content on this website is for educational and informational purposes only.